a drummer, artist, musician, handyman, intercessor, prophet, poet, producer, photographer, videographer, worker, individualist, etc. but above all that a תלמיד של ישוע (Talmid/Disciple of Yeshua). 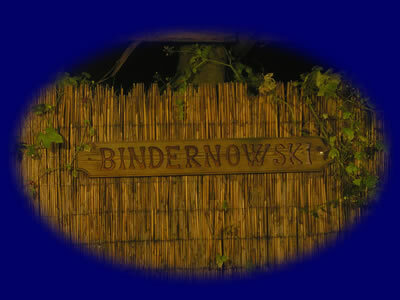 The name “bindernowski” derived as a combination of 3 sources. It is connected to a real name, a country/area and an ancestry identity. If the bible as it is written is true, why not proof it by living according to it’s instructions? Why not proof it to see if this, what is written is really true and YHWH (G-d) cares for us in every aspect? Is it possible to live by faith and really disconnected to the worldly “system” and stay 100% in faith? I am testing that all these years and until now I can say I have definitely some concerns… something is wrong there! Is there a problem with translation and interpretation or were there too many manipulations and changes over the centuries? I think since I stepped out I consume more time to cover the cost for a very simple living with hard physical work instead efficiently building on the kingdom of Elohim (God). Feels a bit frustrating and embarrassing. Since years there is a idea of writing a book but not sure if this will ever even get started – maybe over my limits in language, grammar and all that strange stuff. However, if you want to buy some photographs, music, sounds or footages, you can do that through one of the links in the shop. Or support me directly, so I can spend more time in prayer and be much more efficient for God’s work.